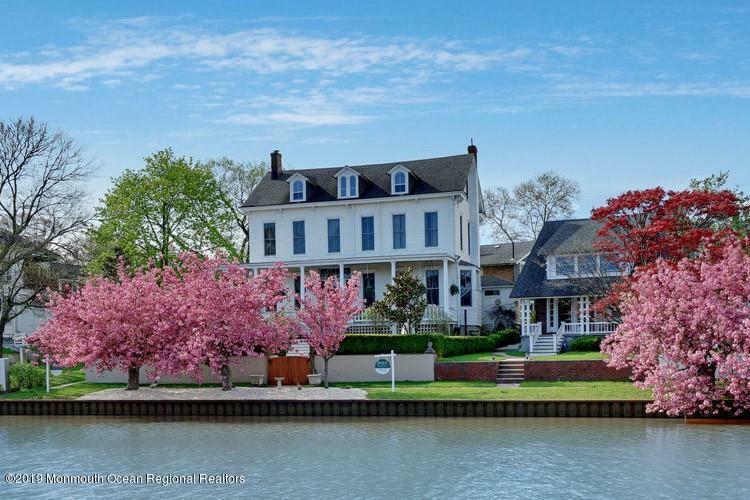 Spectacular lakefront home offers the convenience of a downtown Asbury Park lifestyle combined with private waterfront living. This grand three story home has been painstakingly restored with an open, flowing floor plan designed for entertaining and beach living. Custom baths feature intricate marble and tile work, steam shower, whirlpool, double vanities and top of the line fixtures. Wood and gas burning fireplaces, 12 zone radiant floor heating, 3 zone high velocity a/c, wrap around porches, massive water view windows, and a private yard are just a few of the features of this magnificent home. Enjoy all that Asbury Park has to offer and then retreat to your private oasis and massive covered porch with stunning year round water views.